Campaign to Save Our School! 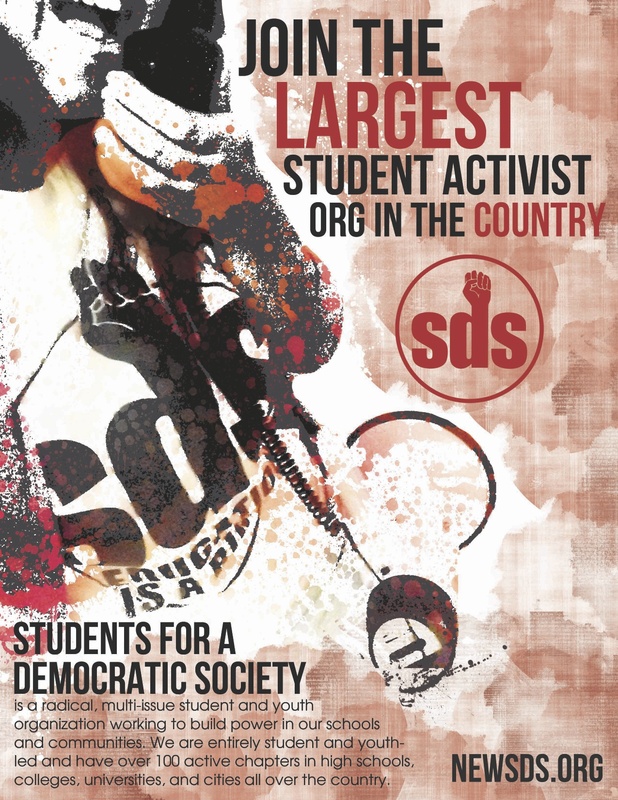 SDS is currently gearing up to kickoff a campaign fighting back against the economic crisis hitting our campus. The Campaign to Save Our School (CampaignSOS) is attempting to build broad unity across our campus to ensure that the university is working in the interest of us, not the elite. Our demands will be to ensure broad student oversight when the budget is determined, cut high administrative salary instead of raising our tuition, no layoffs to student workers and staff, keep the U of M affordable and available to low-income students and people of color. It is essential that we unite around these issues and reclaim the land grant institution that is dissolving into a business. Keep Rosemary Williams in Her Home! Demand that GMAC Come to the Table! Minneapolis, MN Rosemary Williams, a 55 year resident of Central Neighborhood, who has stood at the forefront of the fight against foreclosures, was evicted from her home on Friday August 7th. One hour later, her home was reopened and an around-the-clock sit-in is now taking place. There is a foreclosure crisis in the U.S. While GMAC is busy foreclosing and evicting people from their homes, the CEO of GMAC raked in over $11 billion for his role as the CEO in 2008. Rosemary Williams, her neighbors and friends, are taking a stand for justice in our communities. Call GMAC and tell them to come to the table and negotiate a fair and equitable solution that keeps Rosemary in her home. Call the headquarters of GMAC and demand to speak to the CEO, Alvaro de Molina at: 215-734-8899 Please join us in this vital campaign! This morning GMAC contacted Rosemary Williams’s attorney. GMAC offered her $5000 to be quiet, stop activity to save her house, and go away. Ms. Williams said no. She would not take their “30 pieces of silver” when justice was on the line. Today, we had plans to go to Mayor Rybaks’s office to tell him to order the city attorney to call off the cops. We would hope that our elected officials would act to save the people. It is clear that banks and corporations take precedence over people’s lives. We will be at the Williams home all day. (3138 Clinton Ave S, Minneapolis) GMAC says it is sending out the police to arrest.